Cambodia has come a long way over the past few decades, and an increasing number of social projects and initiatives have arisen to help drive sustainable development in the country. 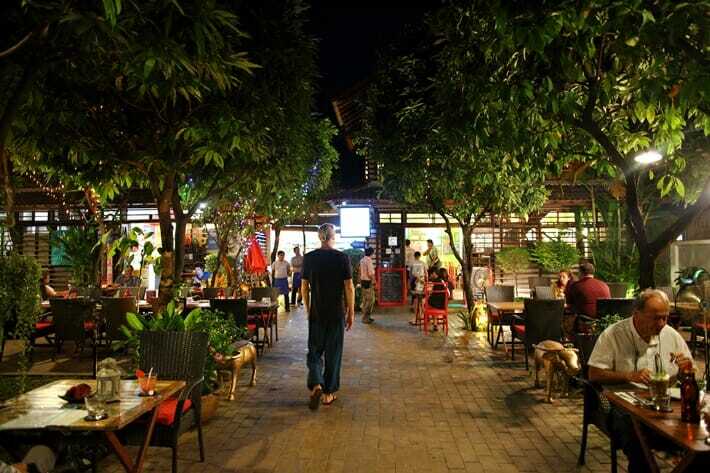 In particular, there are many restaurants, cafés and training facilities in Siem Reap dedicated to helping young Cambodian people gain valuable work skills and employment opportunities. If you are planning a visit to Siem Reap to visit the incredible temples in the Angkor Archaeological Park, you can also fill your days with lots of delicious food while ensuring that your tourism dollars are going towards sustainable community development and ethical projects. 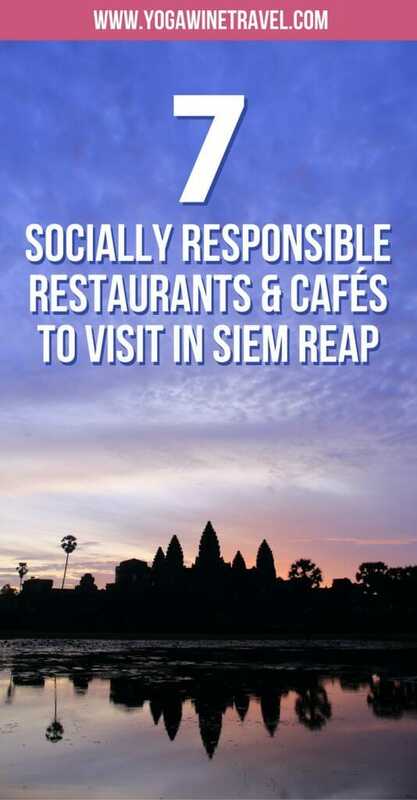 Believe me, it’s not hard to do a little good and pay it forward while eating well in Siem Reap, here are some socially responsible restaurants that I personally visited and loved! Haven first opened its doors in 2011 and provides vocational training to vulnerable young adults from orphanages and safe shelters, as well as underprivileged young adults from very rural poor areas. In addition to the training, the 2 Swiss owners also aim to provide a safe haven for the trainees, hence the name “Haven”. The trainees are provided with accommodation, a monthly salary, meals, medical care and English lessons, and the costs of running the program is subsidized through the restaurant’s income and donations. 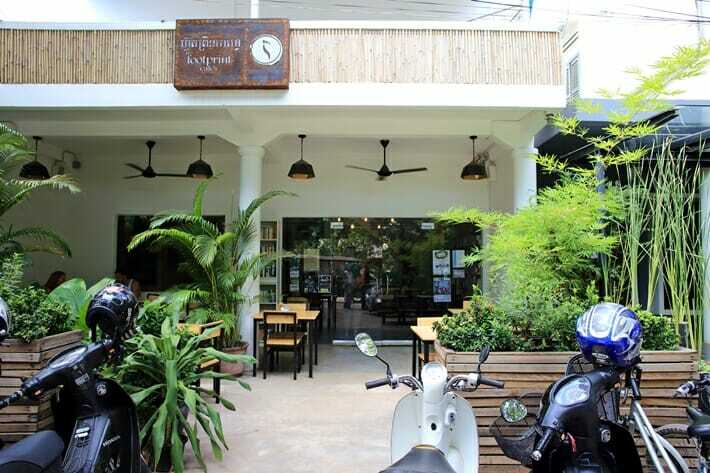 The restaurant is conveniently located in the center of Siem Reap and many tuk tuk (three wheeler) drivers will know where to take you if you tell them that you want to visit Haven. The menu offers a mixture of both Asian and Western dishes at extremely reasonable prices. Make sure you try the fried corn! 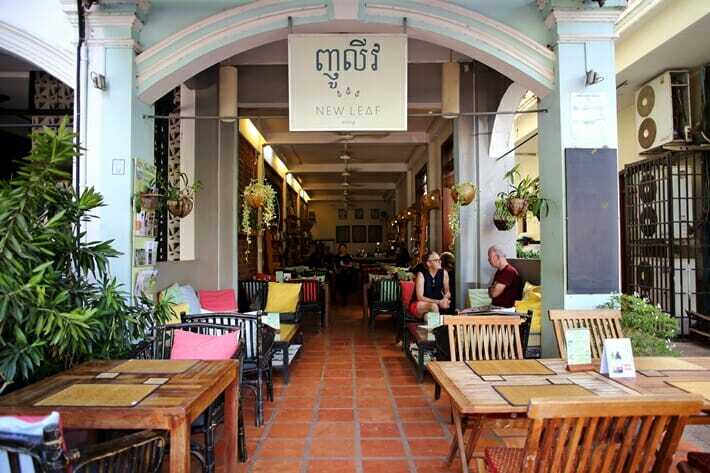 New Leaf Eatery opened in 2013 and is located just steps away from Siem Reap’s famous Pub Street. It is a low key and quiet space offering a number of healthy food and drink options such as the “Red Sun” smoothie (carrot, beetroot, ginger and mint) and beef lok lak. New Leaf primarily supports education-focused charities and also sources much of its produce locally; each month 30% of their profits are donated to a chosen charity or project and 20% is shared among the local staff. 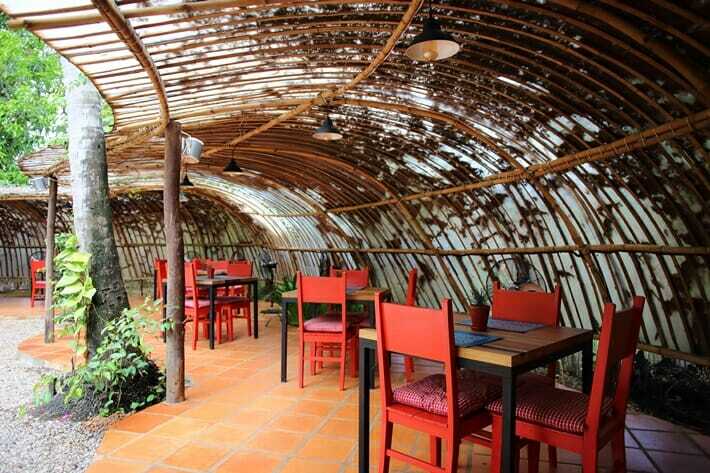 Marum is an incredibly popular training restaurant in Siem Reap with a beautiful garden space out front. The staff are provided on-the-job training to provide them with a better chance of securing employment in the hospitality industry. The menu works off of a numbering system so you simply tell your waiter or waitress the number of the dish that you would like. 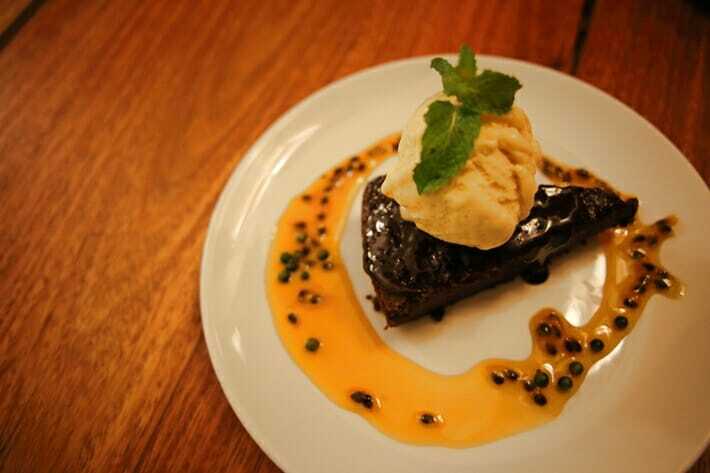 Make sure you try the Khmer style slow cooked pork ribs and save space for the chocolate and Kampot pepper lava cake! Call ahead to make reservations if you’re hoping to stop by for dinner. Spoons is hands down one of the most beautiful restaurants I have ever visited. Rows of bamboo line the walls and colourful artwork and illustrations adorn its walls. The food is spectacular and it has an extensive drinks menu as well. The staff are incredibly friendly and very well trained. You must try the num krok (coconut rice cake) and grilled chicken thigh here! The NGO behind Spoons, EGBOK, was launched in 2009 and reaches out to underprivileged young adults and provides training to help them secure roles in the hospitality industry. According to the NGO, EGBOK alumni are employed by some of the top hotels, restaurant, and spas in Cambodia, including Le Méridien, Park Hyatt, Aman Resorts, Sofitel, and Raffles. Spoons was launched as an on-site training facility to enhance the EGBOK program and increase the number of trainee students that can be accommodated each year. If you are looking for a strong, mouthwatering cup of coffee then look no further than Footprint Café. The space is warm and cozy and pays its profits forward in the form of grants to local educational programs and social enterprises. Footprints regularly hosts book drives overseas; these books are donated to local organizations as well as sold in-store to generate more funds for the grants. Sister Srey aims to be a “café with a heart” and trains their local Khmer staff in hospitality, English language skills, personal development, health and hygiene as well as banking. Sister Srey’s staff are also supported through the opportunity to attend university or complete further education programs. 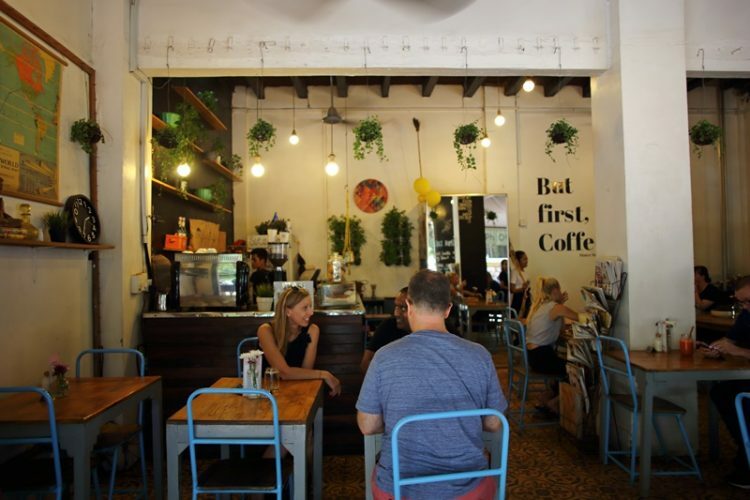 The majority of their produce is organic and supports the local community, and there are a variety of vegan, vegetarian and gluten free options (try the passionfruit “cheese” cake) on the menu. It could not be more conveniently located – right next to Pub Street and the Old Market. Along with its sister facilities in Phnom Penh and Cebu, Bloom is a training centre and cafe that provides young women in poverty and dire circumstances with vocational training, education, healthcare and counselling. The women at Bloom are trained in cake baking, decorating, computer skills and hospitality and is offered a full-time position once they graduate from the program. Their cupcakes are absolutely incredible and delicious to boot – just look at the red velvet and lemon curd ones that we picked up! Visiting Siem Reap for the first time? Click here for a list of 5 top temples to visit in the Angkor Archaeological Park, or click here for 5 lesser-known and underrated temples to explore! 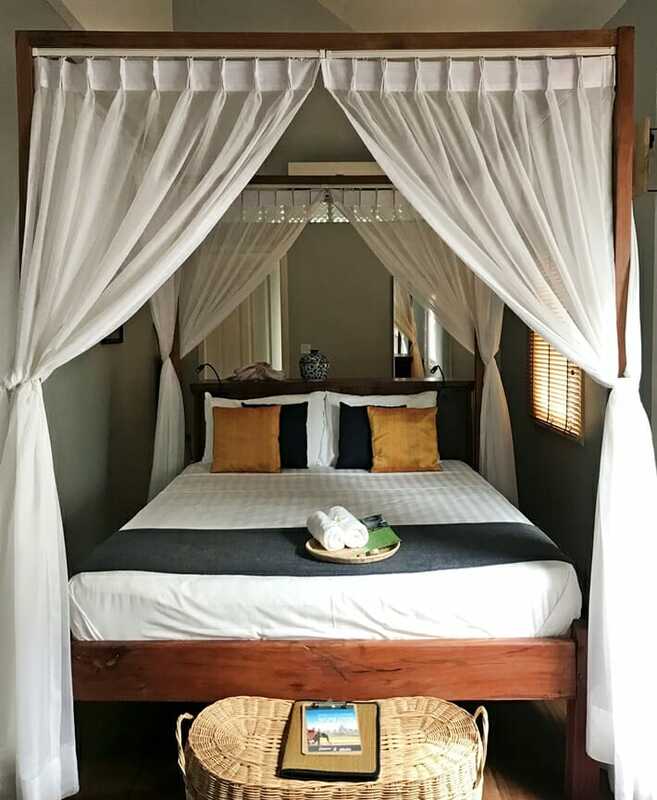 During my first two trips to Siem Reap stayed at a lovely little boutique hotel called Navutu Dreams Resort, located just 10 minutes away from the entrance to the Angkor archaeological site. As part of the (very reasonable) room rate, you also get a private tuk tuk driver for 12 hours who can take you around to the different temples and night markets. 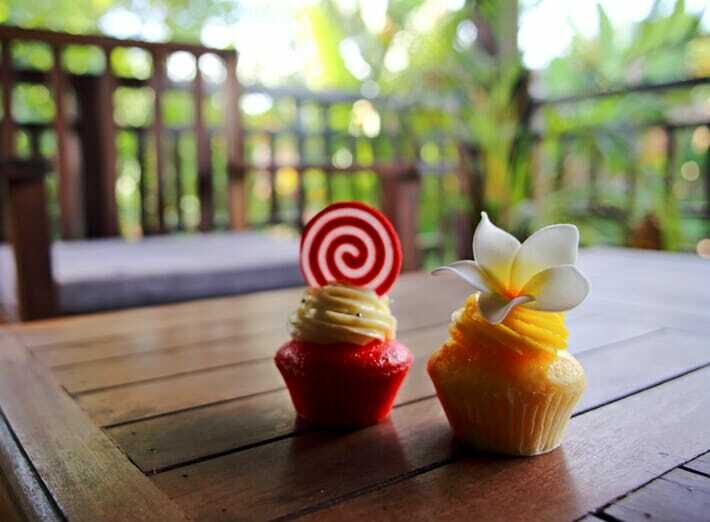 If you love fresh & healthy food, practicing Yoga, beautiful pools and private cabanas then Navutu Dreams is the place to be! 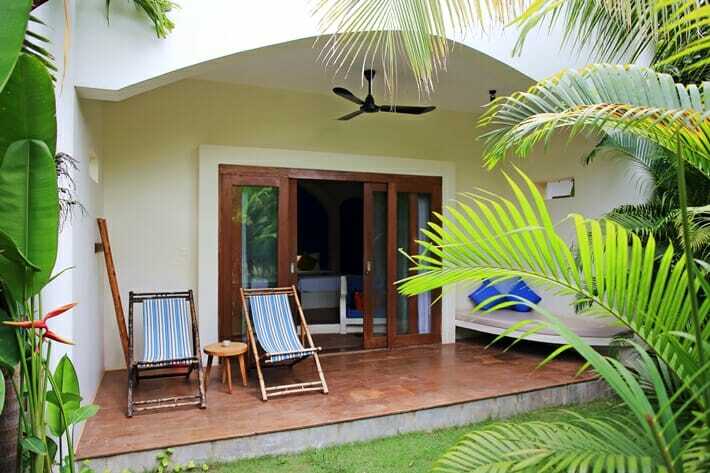 Stay tuned for my full review or click here to book your stay at Navutu Dreams! If you are looking for something a little more low-key and private, House Jane is another fantastic option. 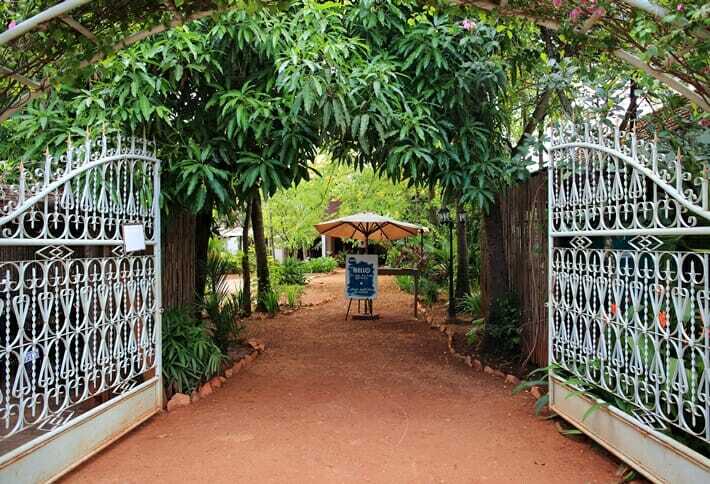 This boutique hotel only has a handful of rooms and is a short 15-20 minute walk away from the Old Market. 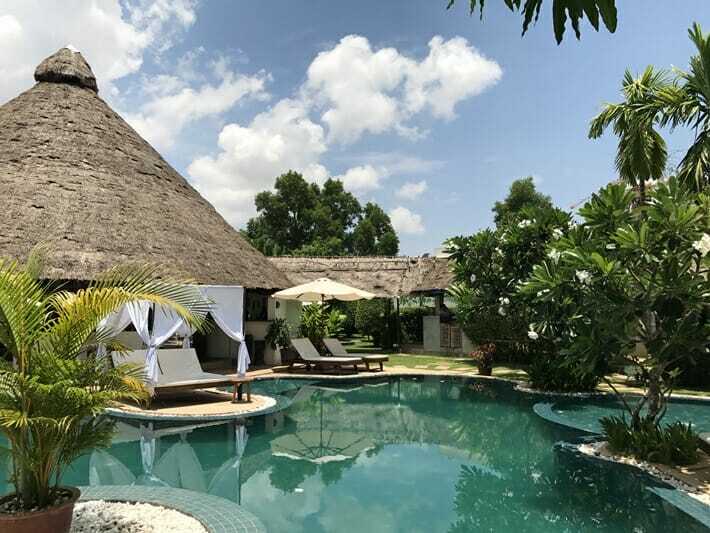 The villa-style hotel has its own pool surrounded by greenery and can help you organize tours to Angkor, Tonle Sap and beyond. It even has its own poolside massage cabana for in-house treatments. Click here to book your stay at House Jane! Looking for other options? Click here to see what hotels are available in Siem Reap or head on over here for more Southeast Asia travel tips. 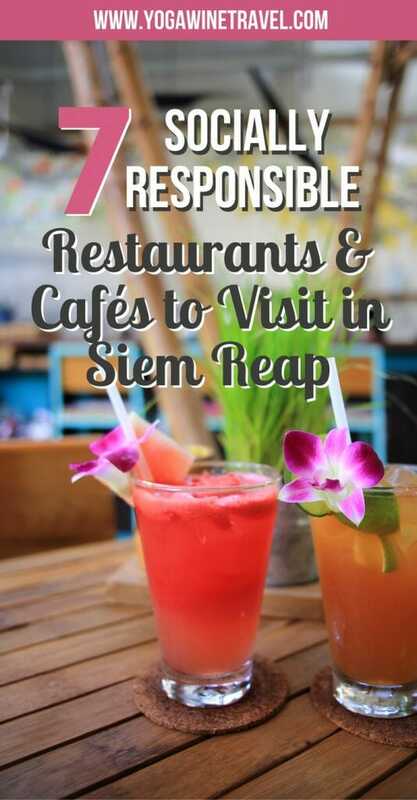 There are many fantastic restaurants and cafés to try out, why not head to one of these to put your tourist dollars to good use and partake in responsible travel in Siem Reap? 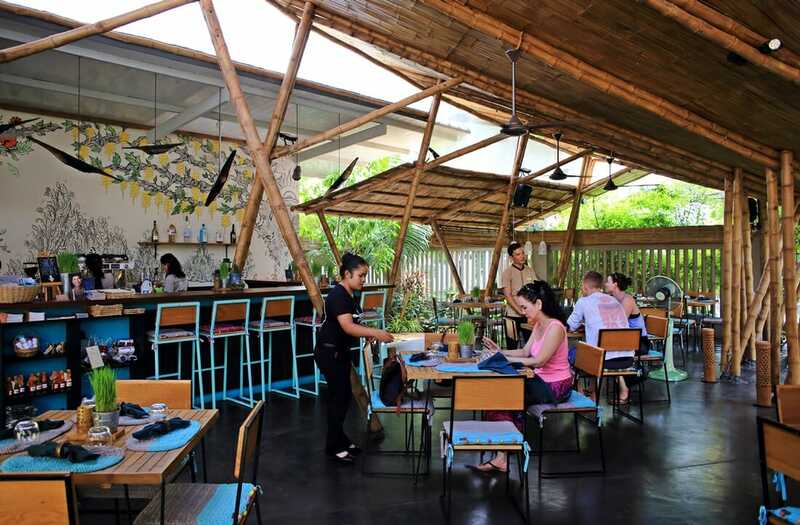 These are just a few of the amazing sustainable and socially responsible restaurants and cafés in Siem Reap – have you visited any others? Comment below and tell me all about it so that I (and others) can visit them next time around! This article contains affiliate links. If you choose to book using these links, I will earn a small commission at no extra cost to you. Thank you for supporting my website by using these links, I only recommend products or services that I have personally used & hotels I have visited and loved. Going to socially responsible restaurants is a great way to do some good while doing something you enjoy. Thanks for compiling the list! I had tons of fun eating and drinking my way through these restaurants! I’ve been to a couple of these spots in Siem Reap and really love the concept behind them. In fact, I’ve seen this done throughout a lot of Asia (and even here recently in London). Thanks for sharing. I’d love to check out some more of these around Asia – let me know if there’s any you’d highly recommend. These are wonderful tips for someone planning to go to Siem Reap. I will take note of your recommendations once I get the chance to visit Siem Reap. 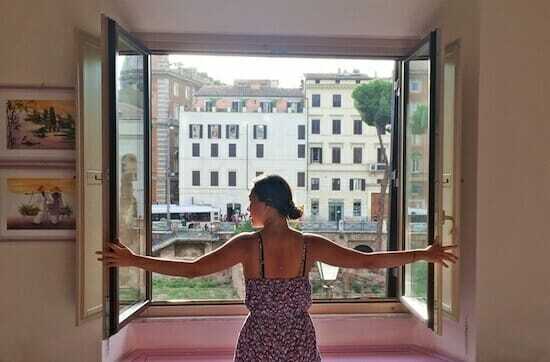 I also love the picture of the hotel. It looks like you had a perfect vacation in there. I’ve been there 3 times and absolutely love it! Siem Reap is such a wonderful place to visit – hope you get to go soon! I’m hoping to visit Far Eastern countries in 2019. When my friends had planned for Cambodia a couple years back, sadly I couldn’t join them… When I venture, I wouldn’t miss Haven Restaurant for sure. Navutu Dreams look stunning too..
Navutu Dreams is a stunning boutique restaurant with amazing service – hope you get to check it out! Choosing the best of the cafés and restaurants is hard. But I like that they all support their workers and offer customer satisfaction for clients. The view at Marum is beautiful I mist say. This is a useful guide for anyone on a Cambodia trip. 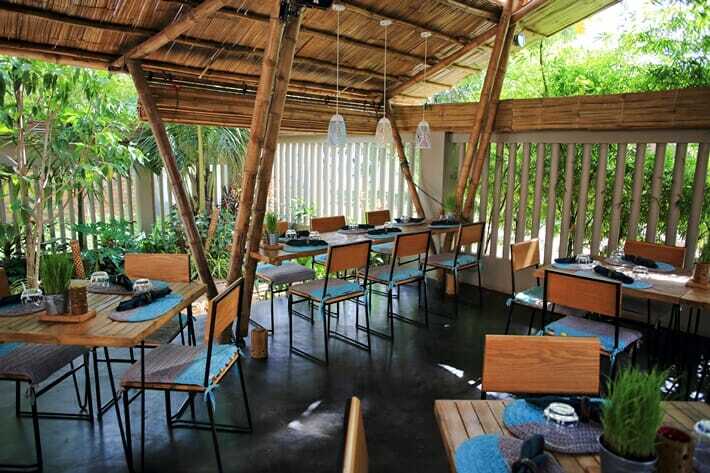 Marum’s garden area is really lovely – perfect for outdoor dining on a nice evening! Apart from being socially responsible, each of these places seems to be very innovative in their design too! Can’t decide which to pick and which to drop, if given a choice. Great list to refer to. Definitely, definitely, definitely go to Spoons and New Leaf – the food is incredible! 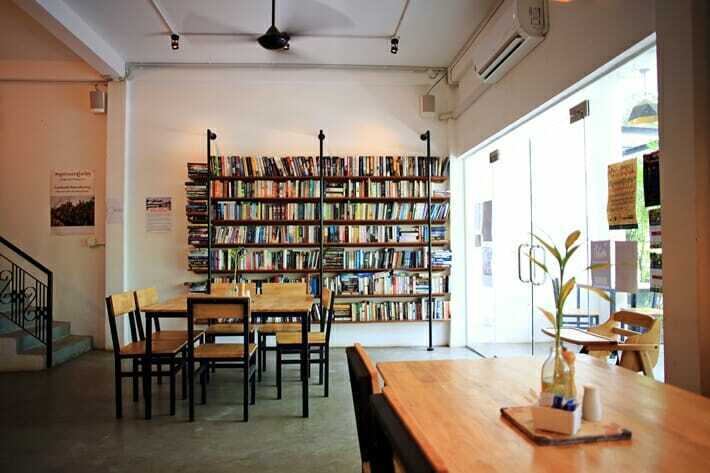 I didn’t know these types of cafes existed. I’ll definitely seek these out. There are so many people in need in Cambodia. It’s good you can contribute by eating a meal . It’s a win-win, that’s for sure! I had lots of fun eating my way through all of these places. I think it is so important to be socially responsible as travellers, and not pass through the world like it owes us something. I love all the places you have picked out in Siem Riep, as well as being sustainable and socially conscious, they also looks amazing too! I love the look of New Leaf Eatery particularly. I completely agree. Why not put our tourism money to good use? Hope you have a great trip! Where else are you headed? It’s great to hear about all the cafes and restaurants trying to make a positive change. 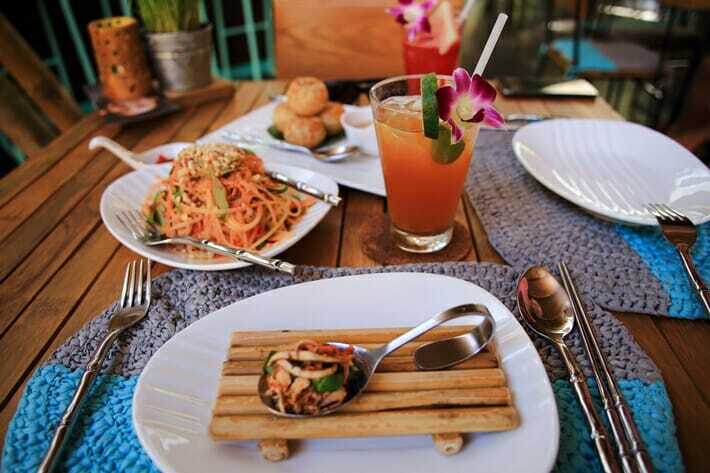 We would like to try the vegan options at Sister Srey. I admire the fact that the owners of these places are committed to charity work and helping improve the lives of the disadvantaged in Siem Reap. Great job. 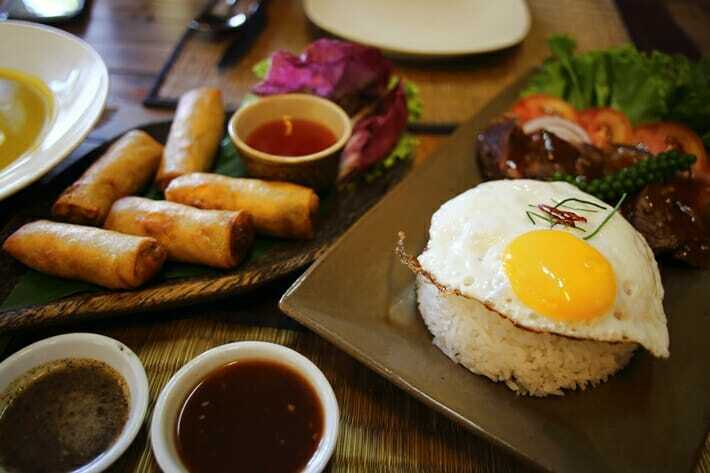 You two would have a blast eating and drinking your way through Siem Reap! There are so many delicious vegan options. There’s this one vegan cheesecake at Sister Srey that is amazing! Yum, yum, yum! Now I want to visit and try all of these! I’m fairly sure I put on a few pounds eating and drinking my way through these restaurants – worth it! Thanks for checking this out, Marta!